Grammy-nominated rapper Nipsey Hussle took steps to care for his children and their futures before his his tragic death. 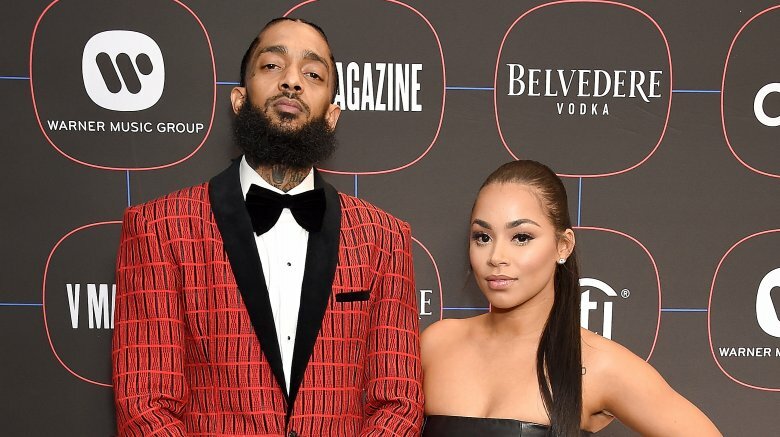 In the wake of Hussle's killing, several people, including former NFL star and Kim Kardashian's ex Reggie Bush, started fundraising efforts to provide financially for Hussle's two kids, daughter Emani Asghedom and son Kross Asghedom, as reported by TMZ. Bush himself reportedly paid $10,000 to the GoFundMe campaign he set up with the goal of reaching $100,000. But apparently, Hussle's children don't need any monetary help from their father's fans and famous friends. Hussle, whose real name was Ermias Asghedom, reportedly made sure they were taken care of before his untimely passing. According to TMZ, Hussle's family has been appreciative of the support they've received since the artist's death, but they don't need any money from others, as they're not struggling with finances. As such, Bush's GoFundMe has reportedly been taken down. In response to the campaigns that had been started, a source told the New York Daily News, "The family did not ask anybody to create anything. Things were created as we were burying him. No one asked his partner for permission." The insider added, "I understand when people pass, other people want to be a part of something, but the execution was poorly done, and it wasn't necessary." Page Six reports that Hussle had quite the financial portfolio. He is said to have owned all of his recording masters and his Marathon Clothing store in Los Angeles. TMZ noted that Hussle was involved in a total of 14 businesses. Presumably with the money he earned from these business endeavors, he reportedly set up multiple trust funds for his children. However, it'd appear that Hussle's children weren't the only kids he was aiming to take care of. According to TMZ, before he passed, Hussle had a foundation to benefit young people in Los Angeles' Crenshaw neighborhood in the works. He reportedly wanted to reconstruct school playgrounds, better parks in the area, and kickstart STEM programs for Crenshaw students. While he may not have achieved his vision before his passing, he did start contributing to the area, repaving 59th Street Elementary's basketball courts and giving shoes to the school's students. TMZ reports that Hussle's family will be "making the foundation their top priority," and one of the first things they'll tackle is naming the foundation. 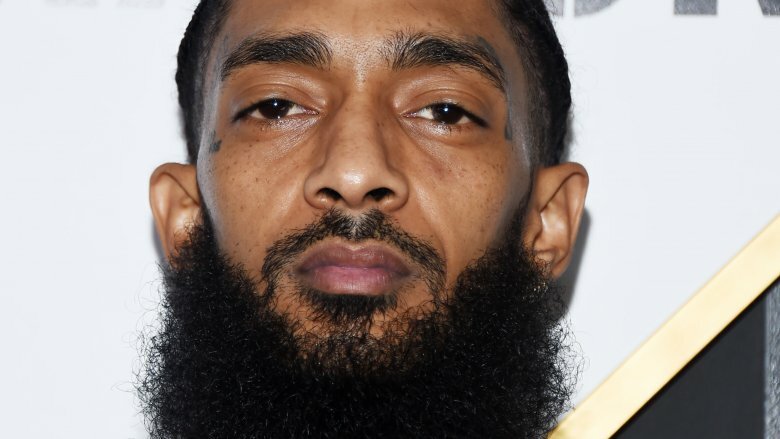 Nipsey Hussle's family and loved ones said their goodbyes to the artist during a "Celebration of Life" memorial service at Los Angeles' Staples Center on April 11, 2019, which was live-streamed on BET (via Page Six). According to BET, over 20,000 guests attended the two-hour ceremony. At one point, Hussle's children, as well as Hussle's girlfriend Lauren London, her sister Samantha Smith, her son with rapper Lil Wayne (Kameron Carter), and Nipsey's nephew, took the stage. While Carter gave a speech to guests about Hussle, who'd he'd reportedly considered to be a father figure, Hussle's daughter Emani could not. "Give the kids some love," London told the crowd after Emani declined to speak. "They're a little nervous." Nipsey Hussle, 33, was shot multiple times in a parking lot outside of Marathon Clothing in the afternoon of March 31, 2019, as reported by NBC News. Two other men were also reportedly shot. According to TMZ, Hussle, who'd been rushed to the hospital after the shooting, succumbed to his injuries 35 minutes later. A 29-year-old man named Eric Holder is believed to have been the shooter, who fled the scene afterwards. The shooting was reportedly captured on surveillance footage. On April 4, 2019, the Los Angeles County District Attorney's Office reported that Holder had been charged with "one count of murder, two counts of attempted murder and one count of possession of a firearm by a felon." He's since hired attorney Christopher Darden to represent him — the same man who'd previously worked for the Los Angeles DA in the infamous O.J. Simpson trial, as reported by CBS Los Angeles. Holder has pleaded not guilty to the charges against him. Since news of Hussle's killing broke, stars have taken to social media to express their grief. Singer Rihanna, for instance, tweeted, "This doesn't make any sense! My spirit is shaken by this! Dear God may His spirit Rest In Peace and May You grant divine comfort to all his loved ones!" In a tweet, artist Pharrell Williams wrote, "You were about something..positive and for your community in every chance you had to speak..and because of that You inspired millions..millions who will uphold your legacy forever. rest amongst the stars." Our thoughts remain with Hussle's loved ones during this difficult time.